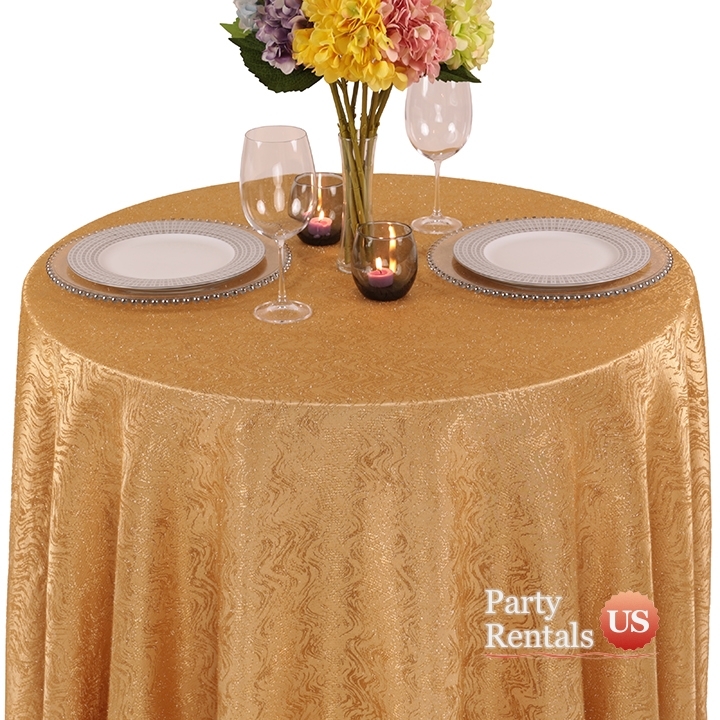 Instead of settling for a plain polyester table covering, opt for a more decorative "Taffeta Cabaret" linen design. The detailing consists of sparkling scrolls that will dance in the light. The material is extremely smooth and will bring elegance to your seating arrangements.